I’m often asked by my clients how regularly they should use LinkedIn. My inclination is to tell them, like me, use it at least two hours every day—but I know that is unreasonable for them. In fact, it borders on insanity. Why is it important to be on LinkedIn often? Because if you want to be top of mind, you need to be present. In other words, you must consistently communicate with your connections to brand yourself successfully. I’m not talking about tweet-like updates (although you can share updates to Twitter) every day stating you’re looking for work. I’m talking about illuminating updates that prompt participation. Your updates might be about what’s going on in your industry. You can provide important tips (remember, you’re still an expert in your occupation). Maybe inspirational quotes are your thing. The new LinkedIn profile combines articles, photos, and updates into one field (see below). This is in line with LinkedIn efforts to streamline its user interface (UI) as much as possible. By using LinkedIn’s “Write an article” feature to share your writing with the appropriate audience, you are gaining visibility and, therefore, enhancing your brand. Don’t forget to “like,” “comment,” or “share” your connections’ updates. This shows you appreciate the efforts they’ve made to contribute on LinkedIn. In my mind, it is far better to provide an intelligent comment; rather than only “liking” an article. Even if you’re unemployed, you should take advantage of this feature. You can demonstrate your expertise of your occupation/industry, thus strengthening your brand. Many recruiters are members of groups that you may also be in. They may read your contributions to the group, so make certain you write intelligent, non-negative comments. Remember, it’s about branding yourself as a capable, positive job candidate. Keep in mind that your messages don’t have to always be about the job search. Sometimes, it’s nice to send an informal message, commenting on something like your connection’s daughter’s soccer game, or sending a link to an article you think your connection might appreciate. Doing the aforementioned will brand you as a concerned connection, not one who thinks only of themselves. Using LinkedIn’s Jobs feature to apply for jobs exclusively is not your best way to land a job because, after all, it’s a job board. (A very low percentage of job seekers are successful using job boards.) But I wouldn’t discount LinkedIn Jobs. Use it in conjunction with your networking efforts. In many cases the person who posted the position is revealed, providing you with the option of contacting said person. You can also “meet the team,” whom you might want to reach out to. Perhaps my favorite feature of Jobs is the ability to see which of your alumni work at the companies of interest. This entry was posted in Career Search, LinkedIn and tagged Being Active on LinkedIn, Branding Yourself on LinkedIn, Engagement on LinkedIn, LinkedIn, Status Updates on March 13, 2017 by Things Career Related. Previously we looked at connecting with others on LinkedIn, the second step for a successful LinkedIn campaign. Now we’ll look at being active on LinkedIn. I tell my LinkedIn workshop attendees that one of my colleagues jokes that I need an intervention. Not for use of an illegal substance; no, an intervention for use of… LinkedIn. Too much use. This little joke elicits laughter from my attendees, but I secretly wonder if there’s truth to his words. If using LinkedIn 365 days a year, including holidays, is considered abnormal; then I might benefit from an intervention. This post is not about refraining from using LinkedIn often. To the contrary, this post is about the necessity of being active on LinkedIn. 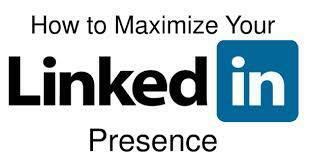 How many hours should they dedicate to LinkedIn many of my workshop attendees asks me. 1. An obvious way to be active is to communicate with your connections by posting Updates. How many you post is up to you, but I suggest at least one a day. This is when I get remarks from my attendees about not having time to make one update a week. To prove this is not a tall order, I show my attendees how I update providing tidbits of job-search advice, asking a question, or sharing an article I find educational. I tell them it’s important to share relevant information with their connections; that’s what good connections do. 2. Another way to be active is to “Like” what your connections update; or, better yet, comment on your connections’ updates. Liking their updates is great, but it takes very little effort to simply click the link. Be more creative and add a comment which can generate discussion, or reply to your connections privately. 3. I’ll visit my connection’s profiles–with full disclosure–many times a day. My connections will visit my profile many times, as well. When they “drop in” and have disclosed themselves (not Anonymous LinkedIn User or Someone from the Entertainment Industry), I’ll show my appreciation by writing, “Thanks for visiting my profile.” This will also lead to a discussion. 4. You’ve probably read many opinions from people on the topic of Endorsements–here we go again. Add me to the list of people who prefer receiving or writing thoughtful recommendations as opposed to simply clicking a button. And I’m not alone. 5. Let us not forget your groups which give you another, significant way to be active. Participating in discussions regularly is a great way to share ideas with established and potential connections. I’ve gained connections because of the interests we shared revealed by discussions. Did you know you can communicate directly with anyone in your group? That’s right, you don’t have to be a first degree in order to communicate directly with even a third-degree member. Trying to get the ear of someone out of your network? You may want to join a group that person is in. 6. If your connections blog and share their posts on LinkedIn, take the effort to read their blog posts and comment on their thoughts. This is an effective way of creating synergy in the blogging community. Now you can express your thoughts using LinkedIn’s Publishing feature. Take advantage of this if you have the ability to write and enjoy sharing your ideas. Sharing blog posts on LinkedIn and making thoughtful comments in your groups can promote you as a thought leader in your occupation and industry. Don’t be shy about sharing your expertise. Employed or unemployed, you have important information to share. LinkedIn is not only about connecting; it’s also about information capital. 7. Pulse is one of the best ways to stay abreast of news in your selected industries (or channels), influencers, and publishers. LinkedIn delivers news to your homepage every day. And you choose which news you want to receive. When my workshop attendees wonder what they should update, I tell them sharing articles of common interest is a great way to start. indicating the company’s geographic location. Once you’ve located the person with whom you’d like to communicate, you can ask for an introduction from one of your first degree connections who is connected to said person. These are some ways you can be active on LinkedIn. The first step is to create a presence with your profile, followed by connecting with others on LinkedIn, and finally being active. Combining all three will lead to a successful LinkedIn campaign. This entry was posted in Career Search, LinkedIn and tagged Being Active on LinkedIn, Companies Page, Endorsements, Groups, LinkedIn, Pulse, updating on July 28, 2014 by Things Career Related.